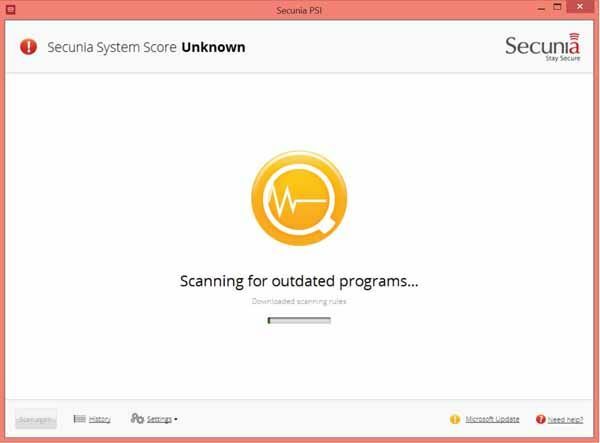 Free download Secunia PSI latest version. The Secunia Personal Software Inspector (PSI) is a free computer security solution that identifies vulnerabilities in applications on your private PC. Vulnerable programs can leave your PC open to attacks. The Secunia PSI covers thousands of programs and automatically detects insecure programs, downloads the required patches, and installs them accordingly without further user interaction. The average private PC has around 75 programs installed, so you should be covered and many more.